Can we reverse-engineer the brain, and eventually replace damaged portions of it with electronic devices? Research just announced suggests that’s a realistic idea. In a major breakthrough in treating brain disorders, Theodore Berger and his team at the USC Viterbi School of Engineering’s Department of Biomedical Engineering, along with Wake Forest University researchers, have developed a neural prosthesis for rats that is able to restore their ability to form long-term memories after they had been pharmacologically blocked. In a dramatic demonstration, Berger blocked the ability to rats to form long-term memories by using pharmacological agents to disrupt the neural circuitry that communicates between two subregions of the hippocampus, CA1 and CA3, which interact to create long-term memory, prior research has shown. 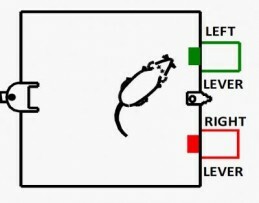 The rats were unable to remember which lever to pull to gain a reward, or could only remember for 5–10 seconds, when previously they could remember for a long period of time. The researchers then developed an artificial hippocampal system that could duplicate the pattern of interaction between CA3-CA1 interactions by monitoring the neural spikes in these cells with an electrode array, and then playing back the same pattern on the same array. Long-term memory capability returned to the pharmacologically blocked rats when the team activated the electronic device programmed to duplicate the memory-encoding function for that specific memory (which lever to pull). The researchers went on to show that if a prosthetic device and its associated electrodes were implanted in animals with a normal, functioning hippocampus, the device could actually strengthen the memory being generated internally in the brain and enhance the memory capability of normal rats. Next steps, according to Berger and Deadwyler, will be attempts to duplicate the rat results in primates (monkeys), with the aim of eventually creating prostheses that might help human victims of Alzheimer’s disease, stroke, or injury recover function.